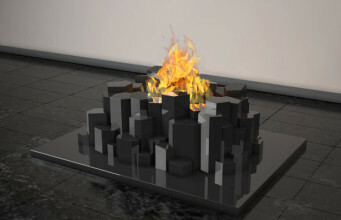 The impression of burning fireplace and using the latest achievements in technology. 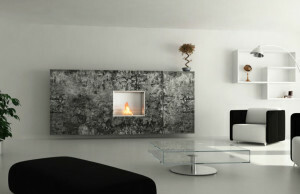 JOULE bio fireplace was designed by Italian architect Enzo Berti. Model looks like LCD TV. 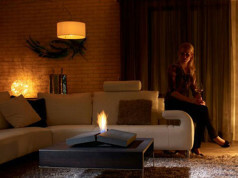 Ecological biofuel-fired, JOULE bio fireplace is a combination of simple shape and the newest interior trends. The device is a perfect complement for minimalistic arrangements and it is additional source of warmth in the apartments. Elegant, looks like new generation device. 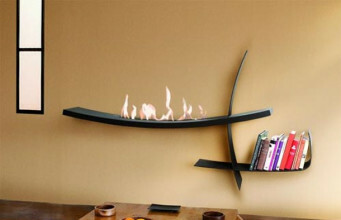 Mobile JOULE bio fireplace is characterized by expressive but simple form of design. 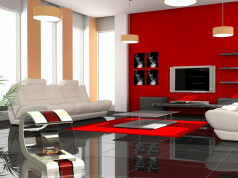 It fixes the style of interior and could be put in a place, where it will perfectly match to other decorations. It was made of high quality materials and has dual construction. 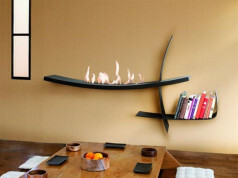 Jumping flames of bio fireplace are visible on black, panoramic screen of device. Innovative i-radium techonology was applied in model JOULE by brand I-radium. This technology uses infrared radiation and ultrasounds. 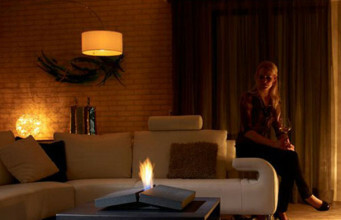 The burner of bio fireplace is invisible. It is covered by mirrored glass, that can be also rotated and then we can enjoy live fire in the middle of a room. Device is characterized by high energy efficiency and let enjoy expressive, condensed colours, due to special construction of panoramic glass. Moreover, the fire of bio fireplace, its power and ignition, can be controlled by special remote, mobile phone or any device working with home automation system. 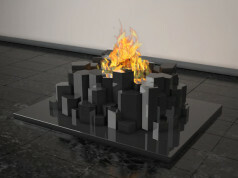 High level technology, unique design – JOULE is one of the most high-tech bio fireplace on a market. 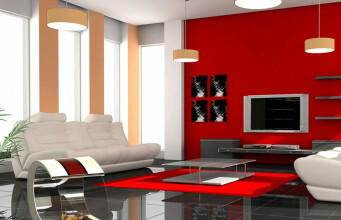 It is a perfect solution for people, who want bring into their apartments and houses unique and warm space. Raw and innovative JOULE is an example of extraordinary attitude to the idea of interior.